Last Friday, hospital staff and Charity supporters stepped up to the plate in aid of our Cystic Fibrosis ‘Back in the Driving Seat’ Appeal, raising a total of £600. 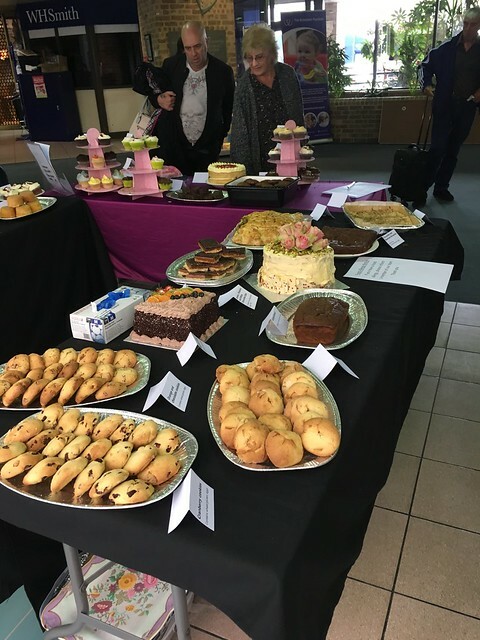 From classic Victoria sponges to chocolate muffins and even a cake in the shape of lungs, our bakers certainly gave this year’s Great British Bake Off contestants a run for their money. The finalists were judged by Q Kocsisova, who starred in Mary Berry’s Britain’s Best Home Cook, with the prize for Star Baker awarded to Royal Brompton’s Gemma Marsh (entry pictured left), Therapy Lead for Paediatrics. Royal Brompton Cystic Fibrosis patient Pippa Kent was crowned Star Baker of the Virtual Brompton Bake Off. Thank you to everyone who baked something or came down to sample the delicious cakes on offer. We're already excited to see (and taste!) next year's entries. See some of the photographs below. Remember - September is Bake Off month! So, there's still time to host your own Bake Off. Click here to download your fundraising pack, which has everything you need to get started.